 The term “psychic” has been taken so far out of context, and has become so blemished, it is nearly impossible to believe we will ever have a spiritual “homecoming” when looking to the English language for the meaning of this term. A psychic is one who uses God-given gifts of the Spirit to receive and give messages from God to bless others. This may be done in an altered state at a very high level of spiritual vibration. However, a mystic or prophet is usually also endowed with a purely intuitive gift that is facilitated in a more “normal” state of being. Either way, the psychic receives information on a dynamic spiritual level.  There are many varieties of psychic or spiritual gifts available to us. A spiritually receptive person may acquire and utilize any number of these gifts. Jesus used all of them in His ministry. You may already have them and not realize it. Since the gifts are perceived aside from or a heightened use of the five known senses, sight, sound, taste, touch, or smell, they are sometimes referred to as the sixth sense or extra sensory perception (ESP). When a person begins to awaken to their true self and divine potential, spiritual or psychic gifts will begin to emerge and develop. Having some point of reference for these gifts will assist in the enlightenment process. With such stigma and fear associated with the paranormal these days, I feel it is important to dispel any fear you may have of such phenomenon. A fear of a spiritual gift will certainly be a hindrance to your using it. In order to be equipped to do the same works that Jesus did, we need to utilize these wonderful tools. Daddy doesn’t mind if you use His tools, so let’s take a brief look at some of these gifts. Clairvoyance - Clair means “clear.” Clairvoyance, or clear vision, allows you to see with your mind’s eye. This gift allows you to pick up on information about a person by seeing images or symbols that pertain to something going on in another person’s life. A clairvoyant person may see with their physical or spiritual eyes, angels, spirits and other images in the spiritual world. This gift manifests whenever the third eye (or 6th chakra) is open and clear and may manifest in dreams or visions. God gives us inner vision today, just as He did with the prophets of old. Clairaudience - Another psychic gift is the gift of clairaudience, in which messages are received from etheric realms through hearing. People having this gift may hear spirit messages audibly or within their mind. This is the gift Joan of Arc used. Clairsentience - Some people are blessed with the gift of psychometry, or clairsentience, which is the ability to touch an object and receive accurate information about the owner, whether living or passed on. This gift brings the gut feeling or “knowing” of something about another person without having human knowledge of it beforehand. Clairempathy - Clairempathy allows a person to feel (within their body or emotions) the feelings, pain or needs of another person. Whenever there is a world catastrophe or an instance where someone nearby is suffering, people with this gift may begin to pick up on this energy and become a surrogate. If you find you are having unexplained pain or emotions that surface without cause, you may be picking up on another person’s energy. It is important for the person with this gift to know how to set spiritual boundaries or else clear the energy from their field. Clairgustance -Clairgustance has to do with receiving a message from spiritual realm through the sense of taste. You may be able to taste something that you have not eaten or even been near. Ask your internal guidance for clarification about why you are “tasting” this message. Oh, taste and see that the Lord is good! Clairscent - Clairscent allows a person to smell a fragrance or odor from another realm. It is akin to the gift of clear taste or clairgustance. I have smelled roses and other heavenly scents while praying. The kingdom of Heaven is near you, even in your nose! Prophetic or Revelatory Gifts - Any of the aforementioned gifts may be considered prophetic in nature due to their ability to foretell the future or transmit a message from the heavenly realms. The Bible speaks of nine gifts of the Spirit and divide them into three categories: speaking, knowing and doing. Under the category of speaking gifts come the gifts of prophecy, tongues and interpretation of tongues. The knowing gifts are words of wisdom, words of knowledge and discerning of spirits. The doing gifts are faith, healing and working of miracles. These gifts are still operational today. God has not changed His mind about communicating with us and through us! The Gift of Healing the Sick - As you ascend in your spiritual progress, you may notice that you have the ability to heal others. My wife’s father was very ill from an accident and slipped into a coma. Doctors at the hospital in Burbank, California indicated he had “lost brain mass” and would not be the same in terms of cognitive abilities. He would in fact, they said, be more akin to “a vegetable” if he lived. They believed his death was imminent. I immediately thought about a Bible scripture, Ecclesiastes 2:12-14, “I saw that wisdom is better than folly, just as light is better than darkness.” Light is in the Universe and individualized in your own spirit. I called on the “Light” of the healing angel Raphael, to surround and protect Mr. Morris. I saw these incredible circles of light in my mind’s eye. I “felt” he was perfect, just as God made him. The Light penetrated my very being and I “knew” he was healed. Period. I appealed to the Doctor who created all doctors. Our bodies are miraculous works of art. They are constantly being pulled back to the original and perfect blueprint of its spiritual DNA. I believe that the greatest surgeon on earth can perform a healing act on the body, but it is ultimately the Highest Doctor of the Universe who sends the energy to cause the actual healing. The doctors at the hospital called our house very excited looking for my wife, Cynthia, saying they had witnessed “a miracle.” Push your mind to the edge and think outside the box. Those invisible photons of light which travel at 186,000 miles per second entered that hospital room, touched my father-in-law’s body and in that light, the dying man was healed. God reveals things to us in many ways, including dreams, visions, thoughts, ideas or images popping into our heads, a knowing felt in our spirit or body, and so on. In the Bible Paul said, “Yet when I am among mature Christians, I do speak with words of great wisdom, but not the kind that comes from here on earth, and not the kind that appeals to great men of this world, who are doomed to fall.” (I Corinthians 2:6). Even though the message may be from God, it comes through the filters of the psychic’s human mind and personality and is open for interpretation. Any message you receive from a prophet or psychic should be considered in such light. I’ve had many a message that I had to “sit with” for a while. After considering its validity, I may put it in the back of my mind for later. Some messages that didn’t seem relevant at the time, have come to have an appreciative meaning later on. “Tele” Gifts. Telepathy allows for mind to mind or spirit to spirit communication without the use of verbal or physical signs, language or symbols. Telepathy between people and animals is a proven fact. A mother knows instinctively when her children are in danger, and we all “tap in” to this type of energy. But what is it? Telepathy is communication from mind to mind or soul to soul without any visible means of physical contact. Contact on a higher plane, however, is very real. When you pray, you contact your Higher Self, or the part that God placed in you. The Bible calls the inner God-self the “I AM.” The Energy of God is very personal. It cannot be created or destroyed—it just is! When we lose our sense of fear, and yield to the inner God-urge to form us to our full potential, it is the most liberating sensation on the planet. This God consciousness is living “as you” in this incarnation. Everything you think will cause the mind of God in you to respond accordingly. The Skeptics - What human nature does not understand, it seeks to resist or destroy. Who are we to judge the fresh, new messages coming from the heart of God to His children who have open minds and are willing to hear that voice today? What would we do with a modern Noah who purportedly “heard” the voice of God? What would we do with a Moses who parted oceans with a walking stick? Jesus used intuition and not mere hunches. He embodied His higher spiritual self, directed by the Christ mind. In other words, he was living in an ascended state while in a human body. He knew when healing had occurred because he felt virtue leave his body. He materialized coins, walked through a wall, called the dead back to life, levitated before eyewitnesses, and defied the laws of gravity with his body by walking on water. The vibratory frequency of his body was much higher than the typical human living in third dimension reality. There were also many prophets, saints and holy men thousands of years before Jesus who demonstrated similar powers of mind and spirit. Why, then, condemn the psychics and mystics of our modern day? Any gift or action that brings health, love, healing, soundness of mind, joy, peace, gentleness, goodness, faith, honesty or any other virtue is of God no matter what label the “doer” may wear or what spiritual camp they hang out with.